Municipal Water and Sewage Service Sp. z o.o. 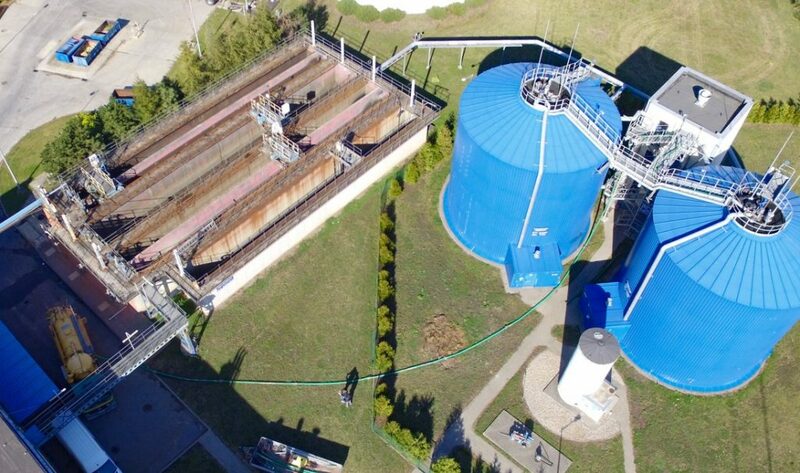 in Brzeg commissioned the industrial cleaning of the Digester Tank. Liquid sediment was dehydrated in the stationary centrifuges. Struvite, the mineralized sediment was removed by specialized equipment. In the initial phase of the operation, there was no possibility of opening the inspection hatches. The material was pumped out from the top of the tank through the hole created by disassembling the emergency valve. After obtaining the safe level of sediment the hatches were opened and the tank ventilated. Struvite and fermented deposits were removed and transported to the destination site. Approximately 300 m3 of substances were extracted from the bottom.